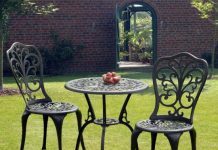 Outdoor furniture is made up from a variety of material – natural as well as manufactured. 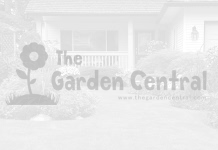 While buying patio furniture, the buyers have a list of things in mind like durability, looks, maintenance and others. 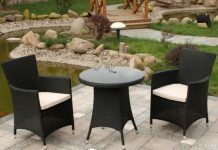 Among all the other materials, wooden patio furniture tops the list because of its array of benefits. The teak lumbers generally have tight wood grains and thus when they are used to make furniture they can withstand heavy loads and stresses. The wood grains are also rich in natural oils and so lasts for a longer duration when compared to the other wood used for patio furniture. As teak wood has natural oils in it, they are able to act as a natural repellent to the termites thus making the wood last for longer. Not only the natural oil acts as an insect repellent but also repel moisture from seeping into the depth of the furniture and thus prevents from rotting. Style and glamour attached to teak furniture has made it more popular. 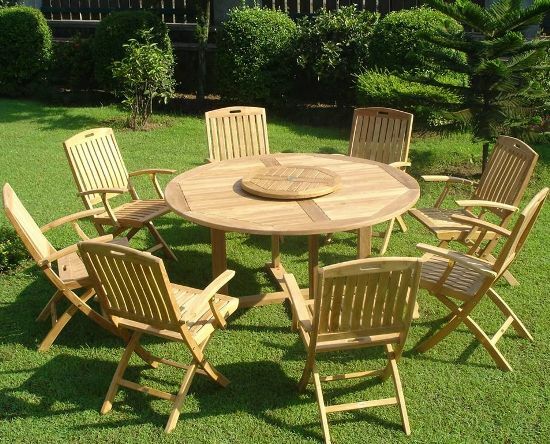 Only skilled craftsmen can handle the pricey teak lumber and covert them into exclusive Garden furniture piece. 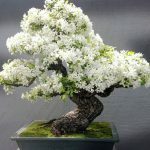 So when a piece is ready for use, it has unparalleled beauty and elegance. Teak has a natural glow of its own. The natural golden hue is what makes teak the ultimate choice of the people. 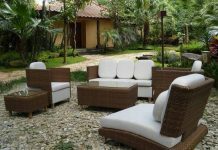 Teak outdoor furniture hardly needs any maintenance. If you leave your teak wood garden table and chairs in open, with time it changes to a silver patina and that gives it a unique weathered texture. Just a polish after few years can give your teak furniture a completely new look. The greatest drawback of teak furniture is the affordability and availability. It being very expensive makes it very rare. It is really a cumbersome job to get an original piece of teak and a craftsman to handle that piece of lumber. It is obvious that teak has more scores but the price really matters. 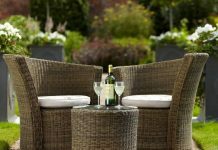 If you can afford there is nothing like teak patio furniture to make your outdoor area look stylish and elegant.